Click here to see map of Philippine regions. Want to learn more about reading forecasts? Try the links below. Want to know more about Weather-Manila? Weather Manila uses advanced numerical weather prediction softwares to generate information. Weather-Manila is always striving to improve the accuracy and relevance of the weather information provided in this website. If you have any comments, suggestions or queries, we would like to hear from you. Be sure to reload this page to get the latest weather outlook. Scroll down to see weather outlook for the next 5 days. Choose city on the left column. To learn more about how to read our daily weather outlook, go to help. You can also get Weather Manila forecasts in weather UP! This is the first and only crowd-sourcing weather app in the Philippines. Download now on Google play store. 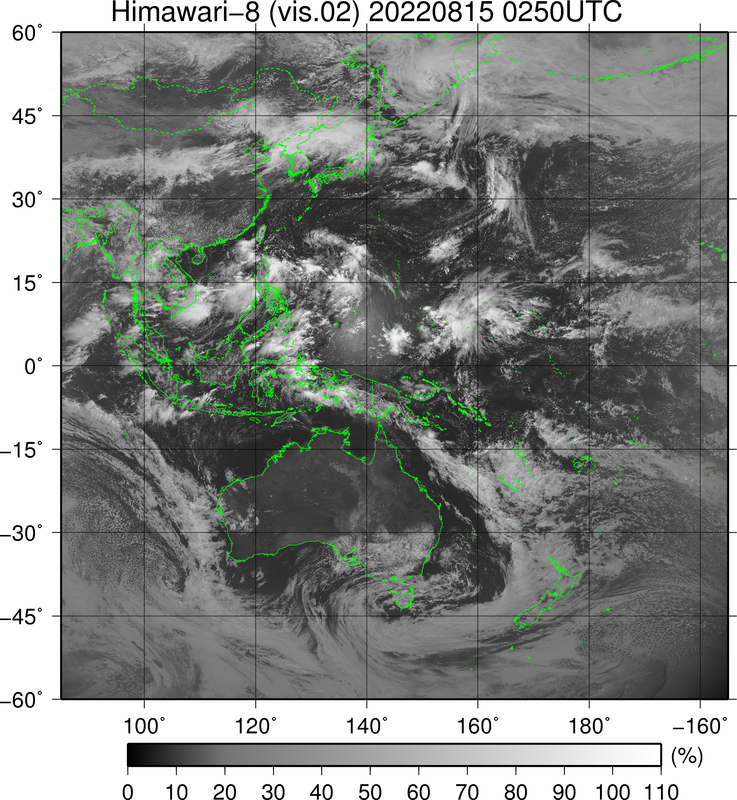 Please note that since this is a visible channel image, nighttime images will appear dark. To see infrared channel, click here. Click image to see full view in new window (~5 mb). Weather Manila is currently working hard developing the country's first air quality forecasting system. This will include 1 day advance forecast of particulate matter (PM) and ground ozone, 2 of the worst pollutants affecting the general urban population worldwide. Weather Manila will also include SO2 and ash fall forecasts in cases of increased volcanic activity anywhere in the Philippines. All these will be implemented during our hardware upgrade that will happen soon. 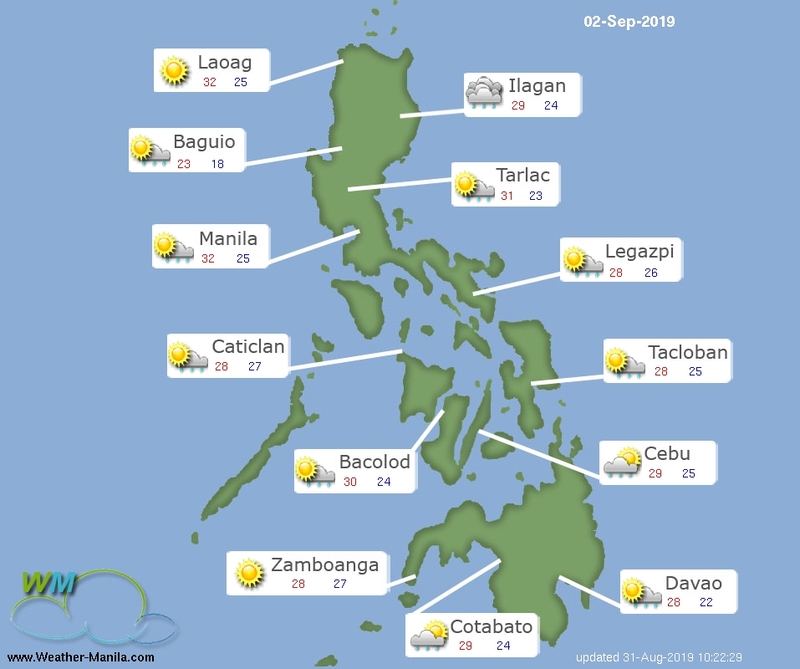 Weather Manila provides deterministic and localized weather forecast for Philippine cities. Weather Manila uses the most advanced computer softwares to provide weather information in your city. We update our forecasts regularly, read more.